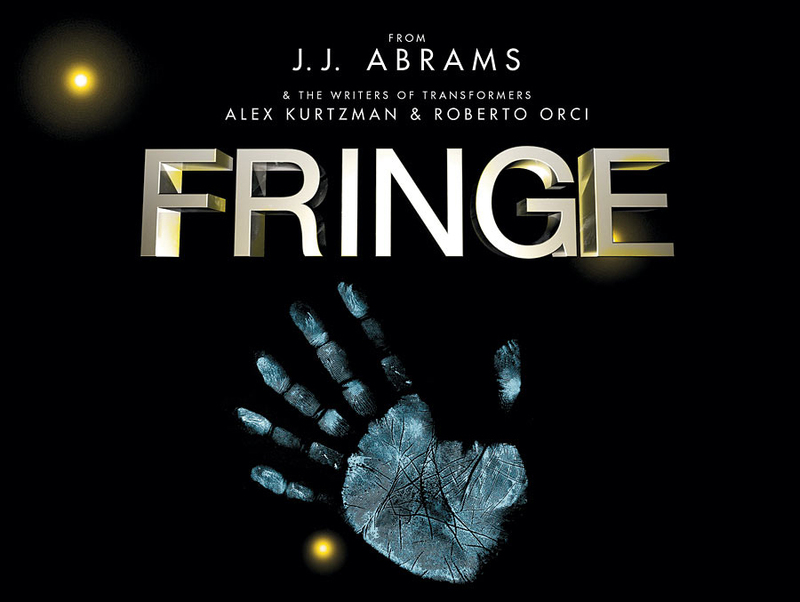 Fringe, Fox’s direct descendant of The X-Files, is a sci-fi tale of risk, redemption, romance, repairing strained family relations and mad science run amok. The roots of the story (which are not revealed until well into the second year) are in 1985, when Dr.Walter Bishop and Dr. William Bell, two luminary scientists, were able to prove a theory they had held for some time: there was another dimension, similar to ours, existing simultaneously along with our own. Bishop and Bell had built a “window” to the other side, a machine that could show the other dimension when looked though. What they saw was a world that nearly mirrored our own, with small oddities (such as reliance on blimps over jet planes) reflecting the different path time had taken in the alternate reality. Around this same time, Walter’s only child, his young son, was deathly ill. Despite his brilliance, Dr. Bishop could not find a cure for his boy’s affliction, and the child died. Dr. Bishop was devastated, but found a small measure of hope when he looked through the dimensional window and saw his doppelganger on the otherside, where medical technology was slightly ahead, was still working for a cure, and that over there, his son still had a chance. Until something completely unexpected happened. Massive Dynamic. What don’t they do? Apparently, there not much, because every Fringe investigation seems to lead to them, and their COO, Nina Sharp, an old friend to both Walter and William. Eventually ZFT is found to be led by a man named David Robert Jones, who is killed by Peter while trying to open a door to the other dimension. 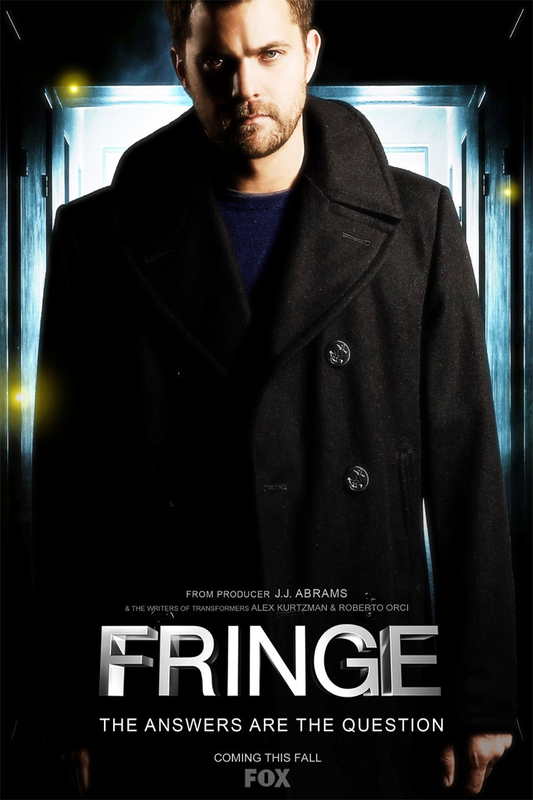 It is soon discovered by the Fringe team that there is another universe, an alternate reality, and that it is dying, being destroyed the weakening of the fabric of reality, caused by Dr. Bishop’s crossing dimensions, and that in an attempt to find a way to cross back over, Walter and Bell had experimented on children, including Olivia. She was the only one of the children, many of whom ended up displaying supernatural abilities, was able to ever cross over to the other side. 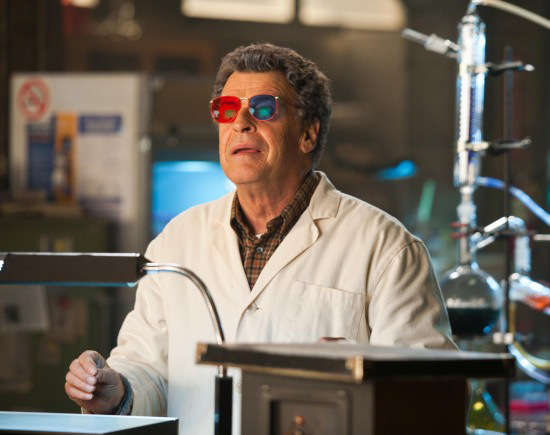 The alternate dimension is populated by alternate versions of almost everyone, including another Walter Bishop (later to be called Walternate) and Olivia (called Fauxlivia) and they believe that what happened to their universe, the destruction and the kidnapping of Peter, to have been deliberate acts of war. In response they created cyborg type beings known as shapeshifters, that were able to cross dimensions safely where as people could not. Walternate has a machine, an ancient piece of technology created by the mysterious “First People” that is somehow tied to Peter’s genetics. The machine seems to have limitless power, to destroy and create, and Walternate plans to convince his son to use it to destroy our dimension. But instead of using the machine to destroy, Peter (or his consciousness from the future, or his consciousness returning from being projected into the future, where one universe had been destroyed, and the other was dying as a result) uses the machine to create a bridge between the two worlds, hoping that with them linked they would have to work together. He got his wish, but at the cost of his very existence. It was an Observer, one called September, who had accidentally distracted Walternate in his lab as the cure for Peter was about to be discovered. And it was also September who later pulled Walter and young Peter from a lake of broken ice after they cross over from the other side, in an attempt to fix his “mistake” of changing the timeline when he distracted Walternate. The Observers seem to have the ability to move through time and space at will, and have highly advanced technological devices. Their motives and methods are a mystery. But a large group of them is seen gathered outside at the end of season three, when Peter uses the machine to create the interdimensional bridge. After linking the universes Peter is seen fading from existence, seemingly unnoticed by anyone else. 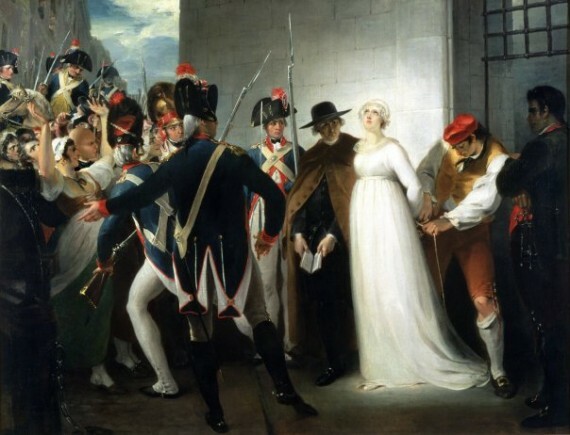 One of the Observers comments to September, “You were right, they don’t remember Peter.” And September replies, “How could they? He never existed. 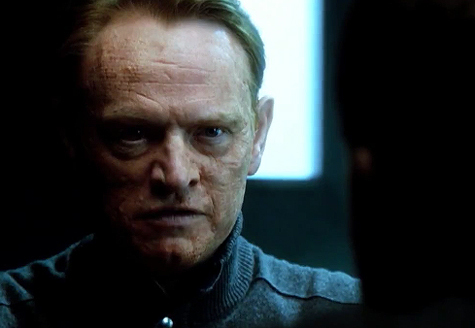 He served his purpose.” Erased from Existence The fourth season opens in an alternate timeline where September failed to rescue Peter from the lake after being brought from the other dimension by Walter, and so Peter died on both sides and was never there to meet Olivia, or become part of the Fringe Division. Things worked out in a similar fashion, though, with Walter working with Olivia and the FBI, and the two universes being linked by the interdimensional bridge. But without Peter there to kill him, David Robert Jones in still alive in this timeline. Olivia and Walter are both being haunted by dreams and visions of a man that they do not know. 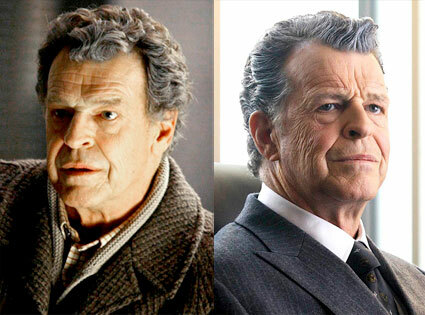 A man that turns out to be Peter, who has been kept in a state of existence by the force of his connection and love with both his father and Olivia. 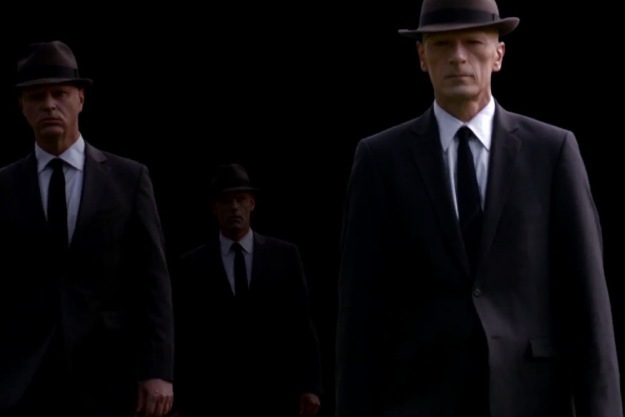 Eventually this force brings Peter into the new timeline, and together with Walter and Olivia, they work to stop David Robert Jones, who seems to have everyone, including Broyles and Nina Sharp, working for him in the timeline. They are able to stop Jones, who along with Bell, was attempting to synchronize the two universes together and collapse them, using the energy like a Big Bang to create a third universe, that Bell would build and control. But foiling the plan forces them to forever close the dimensional bridge, and nearly costs Olivia her life. It is revealed to Peter by the Observer, September, that they had needed to erase Peter to get rid of the son he was going to have with Olivia, Henry, to ensure the Observer’s future would come to pass. 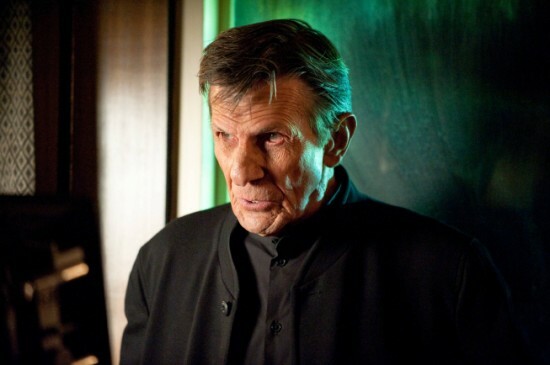 September delivers a final message to Walter that “They are coming,” at the end of season four. 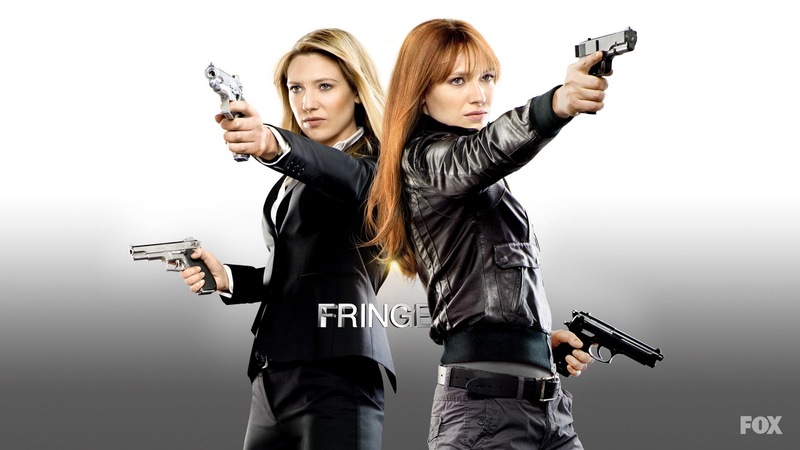 Fringe returns on 9/28 at 9pm on Fox.